Emilia Fägerstam, senior lecturer in education at LiU, and Anette Nyberg, teacher at Ekkälleskolan and Didaktikcenter were given an exciting task: conduct a course Education for Sustainable Development, to be given as continuing education for teachers in Guangzhou, China. Emilia Fägerstam assisted by a interpreter Photo credit: Guangzhou UniversityFor nine days, Emilia Fägerstam and Anette Nyberg held courses for 65 teachers from schools in Guangzhou. They held exercises that focused on values, held discussions in topics that ranged from ecosystems and values to curriculums, and had time to squeeze in many different and often playful activities. Despite a population of 15 million, Guangzhou is a green city with large parks and generous greenery, so much of the course was held outdoors. “The people taking the course were mainly teachers in subjects such as biology, chemistry and geography, but we also had teachers in art and English. We had suspected that the discussion exercises wouldn’t work very well, but our fears turned out to be ungrounded, and we had many engaging, open and exciting discussions,” says Emilia Fägerstam. The participants found it particularly valuable to meet each other and discuss with teachers in other subjects, which doesn’t happen very often in China. Discussions with Anette Nyberg Photo credit: Guangzhou university“We could, of course, describe how we do things in Linköping and ask them after the various sessions whether they could use what we had done in their own situation. You have to remember that it’s not easy to communicate with people with another culture, and we had to be flexible sometimes and reconsider, with help from the participants,” says Anette Nyberg, who is not only senior teacher at Ekkälleskolan but also at Didaktikcenter, run by Linköping municipality. The course in Education for Sustainable Development was created from scratch and was designed for the task, drawing inspiration from university courses in outdoor education and courses used in continuing education for teachers in the municipality. They also incorporated models, such as the “Eposea” model, in which one aims to create structured narratives related to sustainable development, and spend time considering them. 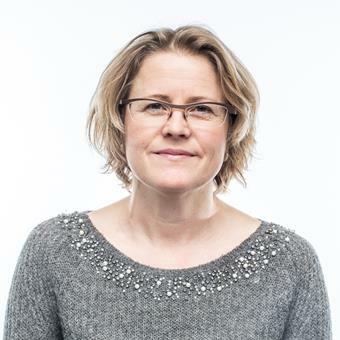 “Ola Uhrqvist, upper secondary teacher with a doctorate from the Department of Thematic Studies – Environmental Change, was involved in the development of the Eposea model. Together with a colleague he also wrote a teacher’s guide for it, which we could use,” says Anette Nyberg. The model was used as the final exercise in the course, when the participants were asked to create a narrative with a sustainability perspective associated with a particular location they had selected. They presented and discussed the results in small groups of eight, and one person in the group presented the results for all participants on the following day. “They only had a very short time for the work, but worked in an extremely focused manner. The results they achieved were excellent,” says Anette Nyberg. Anette Nyberg assisted by Jolin Zhuolin Chen Photo credit: Guangzhou UniversityEmilia and Anette gave the course in English, but were assisted by talented Chinese interpreters, students studying English at university. They were also helped greatly by Jolin Zhuolin Chen, who took a master’s degree in Outdoor Environmental Education and Outdoor Life at LiU earlier this year. Inspired by her time at LiU, she has started a company that gives weekend courses using outdoor education for Chinese children. Both Emilia Fägerstam and Anette Nyberg are more than satisfied with the course and have learnt a great deal. “The way we were welcomed was wonderful. I‘ve been given a lot to think about, and I have, of course, gained a deeper understanding of our Chinese students,” says Emilia Fägerstam. They are quite happy to carry on giving the course they have developed, as continuing education for Swedish teachers, and for students in teacher training. The response from China has also been positive. “We have received a lot of positive feedback, both from the participants and the people who organise continuing education for teachers in Guangzhou,” Jack Zhe Yang, regional manager Asia and responsible for the collaboration between China and LiU, tells us. The background for the course lies in the fact that Guangzhou University and Linköping University are together operating a centre for sustainable urban development, in which several common research projects are in full flow. Inspired by Linköping, with which it has been twinned for 20 years, Guangzhou has set itself the goal of becoming the leading city in China for sustainable urban development, and the topic of continuing education for teachers was one of the first to be discussed. Emilia Fägerstam with the certificates Photo credit: Guangzhou UniversityJörgen Nissen, dean of the Faculty of Educational Sciences, appointed a working group, and Emilia Fägerstam travelled to Guangzhou in March this year with a delegation from the municipality and the university, to experience the city and university and get an idea of what was required. Work continued through the spring, and Anette Nyberg (works with ESD, education for sustainable development) joined, in order to give the project a firm connection with real-life schools. “This was a really fun and exciting experience, and we hope that it will continue in some form,” says Emilia Fägerstam.